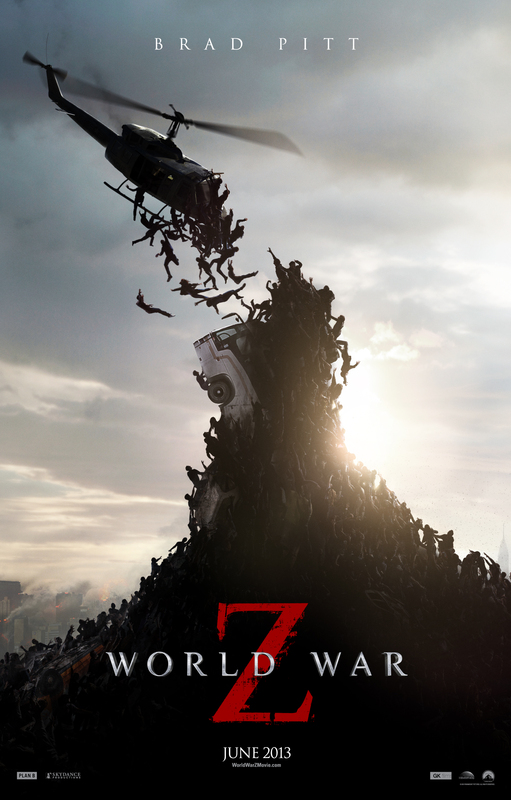 An unexpected outbreak of a zombie plague leaves the world in shreds. Former UN worker Gerry Lane (Brad Pitt) and his family receive refuge on a governmental ship safely anchored at sea in exchange for Gerry traveling around the globe to find a cure. Adapted from the grim book written by Max Brooks (son of Mel), we journey around the globe with Gerry, a family man who once ran operations for the UN in countries were most mortals wouldn’t survive a day. With governmental and military infrastructures in disarray, and entire countries experiencing radio silence, Gerry, alone, must trace the origin of the outbreak. Most apocalyptic blockbusters open by teasing the audience about what’s to come, but this one hits the ground running, with an entire city (Philadelphia) being overrun before you’ve settled comfortably in your seat. The opening scene – in which Director Marc Forster keeps the monsters practically unseen, creating an unnerving sense of the chaos — also sets the pace for the rest of the film, in which millions of people die, but scarcely a drop of blood is seen. Horror fans longing for large scale carnage will likely come away unsatisfied, but I appreciated the lack of gore. And the film is scary due to horrifying imagery, such as when the zombies go after prey, swarming like angry locust, screeching and chomping their teeth.